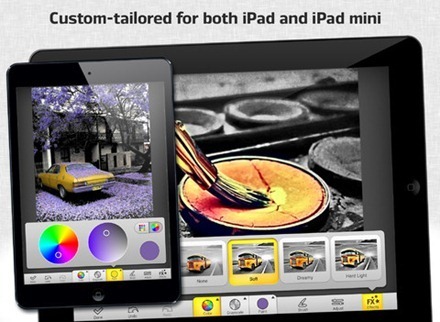 ColorStrokes HD is a brand color splashing style graphics app for the iPad, released in the iPad App Store today. 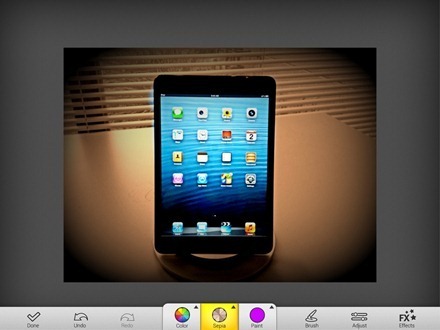 The app is developed by MacPhun – creators of one of my all-time favorite photo effects apps for the iPad – FX Photo Studio HD, which was one of the picks in our Best iPad Apps of 2011 list. I’ve been using the app for a few days prior to its public release and I’m quite impressed with it. I’ve used it on both the iPad mini and the iPad 3 and it works well on both. The app makes it easy to apply colors and use its other tools and effects to create striking new images. My favorite thing about the app is the same thing I have always liked so much about FX Photo Studio – it offers some nifty and powerful features and makes them absolutely simple to apply. Just about every effect or adjustment is just a tap or two away. The slider control for adjusting brightness, contrast, and vignette effect is a real pleasure to use. ColorStrokes HD has kept its feature set pretty slim, and I think that helps to make the app more fun and quick to use too. 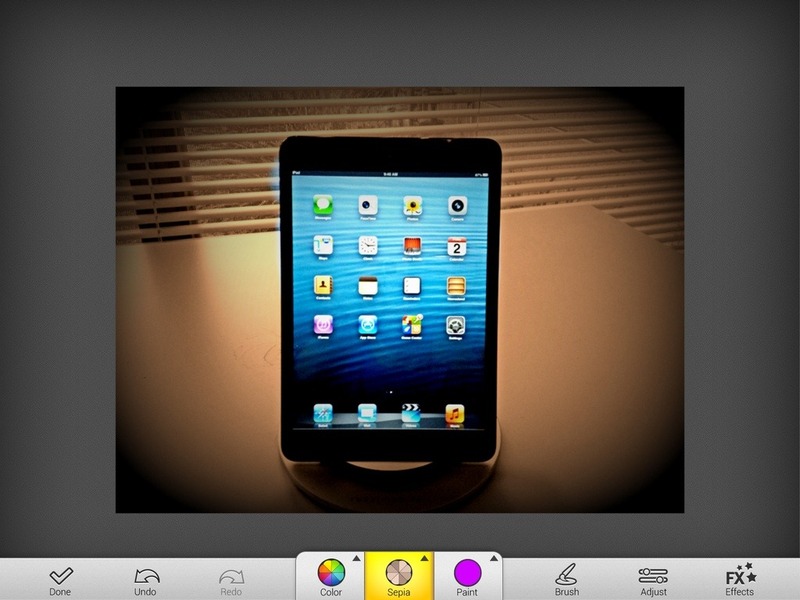 Here’s an App Store link for ColorStrokes HD; it’s priced at $0.99.